I'm a little delayed this week... I'm in Orlando right now with my Mom and pretty busy! Unfortunately, last week while she was on her daily walk, she was hit by a car. She's doing pretty well though thankfully. She has a cracked rib and stitches above her eye. Now we just have to wait and see if her rotator cuffs on both arms are torn, she's having major issues moving her arms up. Hope to find out by tomorrow! But in the meantime... here is my weekly update. Exercise: 5 workouts done! 2 BodyPump, 1 2-mile walk, 1 Spin Class and 1 Sculpting class. Yoga was a big bust this week... I just feel too tired to do anything at home. Sleep/Dreams: Sleep is pretty good, no bathroom breaks yet! Very weird dreams as usual, but no baby dreams. I had tons of baby dreams when I was pregnant with Wyatt. Symptoms: Feeling tired the last half of the day. Starting to get heartburn if I eat really quickly. Preggo Brain Moments: I was looking for my sneakers to head to the gym, and could only find one. I searched the house thinking Wyatt took it and I had it in my hand the whole time. Doh! 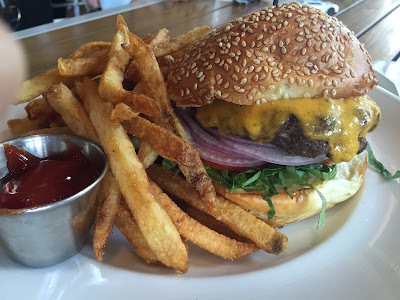 Food cravings: Got my burger fix at Marlow's Tavern in Orlando! 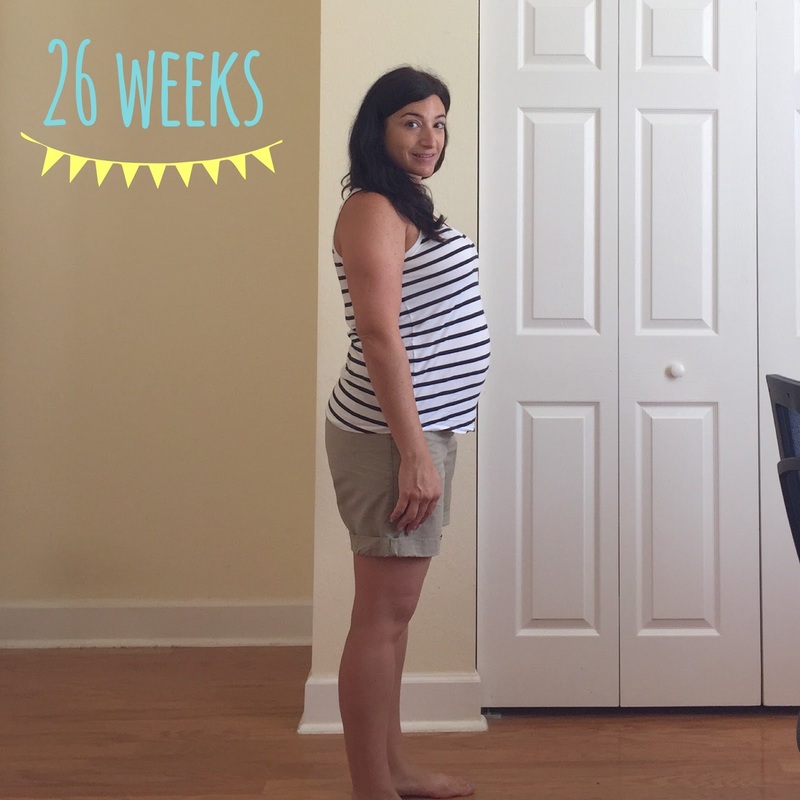 Maternity Clothes: Almost all maternity wear now. I have a couple regular shirts I can still squeeze on. My selection of workout wear that still fits me is getting slim. Best moment this past week: Having Jay home! Even though I had to leave for O-town the day after he got back from his trip. What I am looking forward to this week: Hopefully seeing my mom recover from her accident! Oh my goodness, your mom! I'm so glad she's okay. That's terrible!